I must confess, I made this website for dads because I wanted to show off all the cool tricks I can do as a blogger. For years, I have been blogging on other people’s websites, and designing fantastic interactive experiences for clients. Until I made BeTheBetterDad.com, I didn’t have a pretty palace to call my own on the Internet. This project came out of a deep investigation during Pioneer Nation into what I could talk about that would have significant impact on the world. I was surprised to land on this project. Somewhat trepidatious, I looked in this direction for my blogging career. I didn’t expect to be writing a website for dads, but there’s a real lack of dad-focused personal development out there. Anytime I mentioned this idea to somebody, they were so enthusiastic about it, this seemed like a good idea to me to pursue. I kept my weekly progress in a post in the Fizzle forums, and this, more than any single thing, kept me going on this project. Every week, a notification would pop up in my task manager on Wednesday, saying “Write in progress log in Fizzle forums.” There was a hyperlink. All I had to do was click, and write about what I did last week, and what I planned to do next week. That pulse of the project kept me going. Every week, on Saturday afternoons and Monday nights, I would blog my little heart out on this website for dads. I really enjoyed the process of making it. 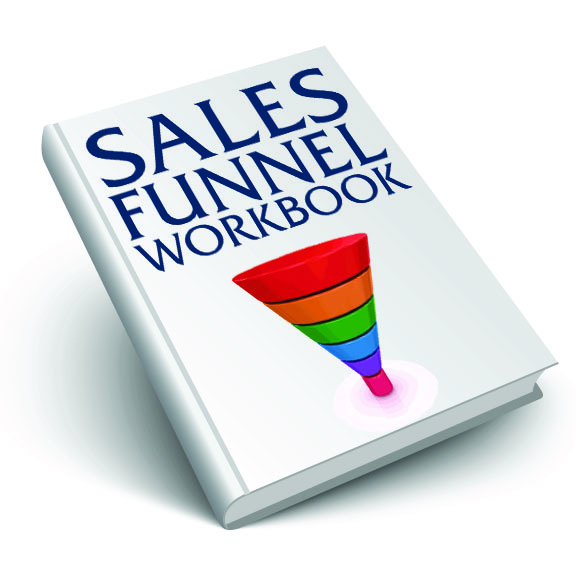 In addition to the blog, I created what I now consider essential digital infrastructure for a blogger’s platform: the online sales funnel. The ebook was just way too big; so I stripped out the worksheets, made that into the PDF download, and used the rest of the copy to make a really long scrolling homepage. The experience of engaging with this particular set of ideas was a lot better on a web page than it was in an ebook, anyway. Then I set up my autoresponder in ConvertKit. I had always wanted to try this email marketing platform, and being a blogger on BeTheBetterDad.com was my good excuse to try it out. The platform has its limitations, but overall, I’m happy with it. The MVP, as it’s known to Fizzlers (seriously, take a free 5-week trial here) is the most basic version of your product that people will pay money for. I had a huge Trello board with tons of content for the Father Fitness Program, which was originally scoped to be a 5-week program that i would sell for a couple hundred bucks. Scaling this down really helped me to hone in on what would be most useful and essential, and not just throw all the content into it that I had. Using ConvertKit, I made this a 5-day program, and drip out an email every day for 5 days to introduce the day’s topic. To sell the 5-Day Father Fitness Program, I made a long form sales page to cover the product features and benefits. Since I didn’t have any testimonials when I launched, I used quotes from big famous people that were particularly relevant. Since this website for dads is my show-off piece, I wanted to showcase some of my shopping cart work, as well. I put most of my creative effort into the blog itself, writing researched articles that quoted and linked to other thought-leaders in the space. Overall, this is the crowning achievement of the project; now I have a pretty place to blog. The parallax backgrounds, the rich graphics, and the way the scrolling experience happens on the site are all things I’m really proud of being able to do. For years I’ve developed the skills to make things this good for my clients, but I never took the time to make something this good just for myself – until I decided to write about my family. That’s when it mattered enough, to me, to do my best work, for me. And that was really fun. 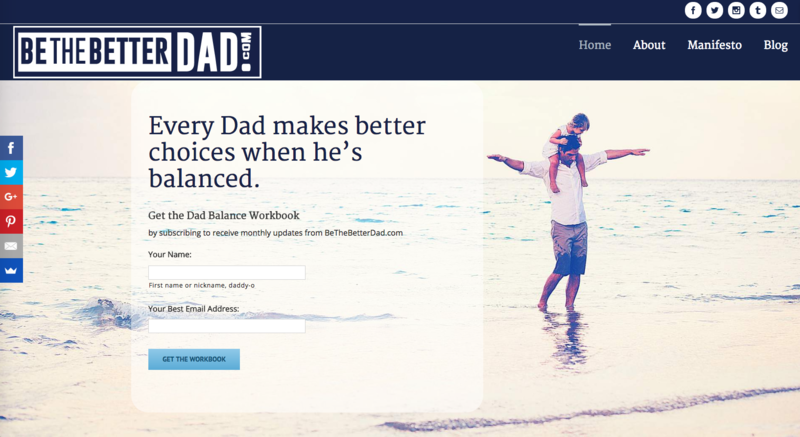 Poke around this website for dads, and forward it to a dad who could use some better habits.